I love butter. There’s just something about freshly-baked bread smeared with butter that seems almost magical. If you love butter as much as I do, you have to try homemade butter. Making butter yourself is really easy. All you need is some heavy cream and a way to shake it. I salt mine, but salt is optional. One day at school the kids and I made butter. I filled a pint jar a third full with milk and let the kids take turns passing the jar around shaking it until the butter magically separated from the buttermilk. The kids really thought this was magic and loved it on the homemade bread we made that morning. If six-year-olds can make butter, so can you. Relax, you don’t even have to spend all morning shaking a jar full of cream to make your own butter. 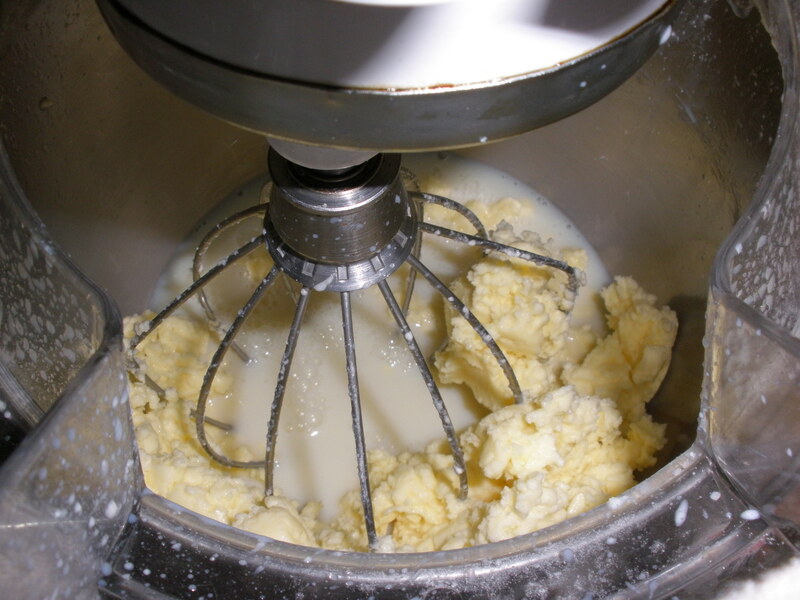 If you have an electric mixer, you can make butter in just a few minutes. 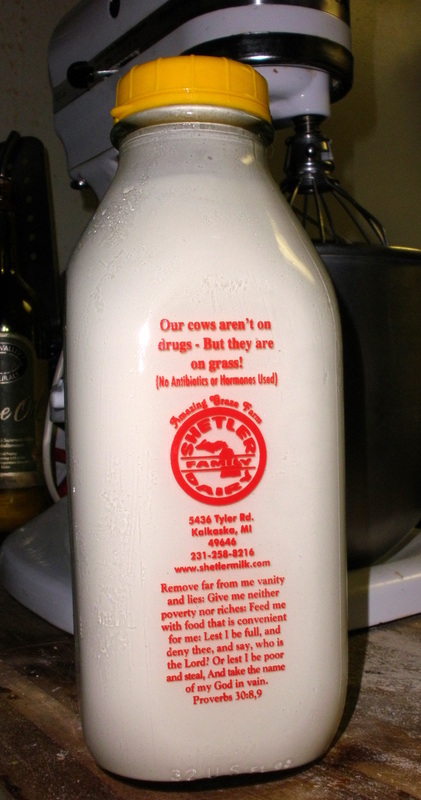 First, get a jug of heavy whipping cream, NOT half and half. I used a quart of cream and got a pint of butter and a pint of buttermilk, but there was a lot of splattering involved. 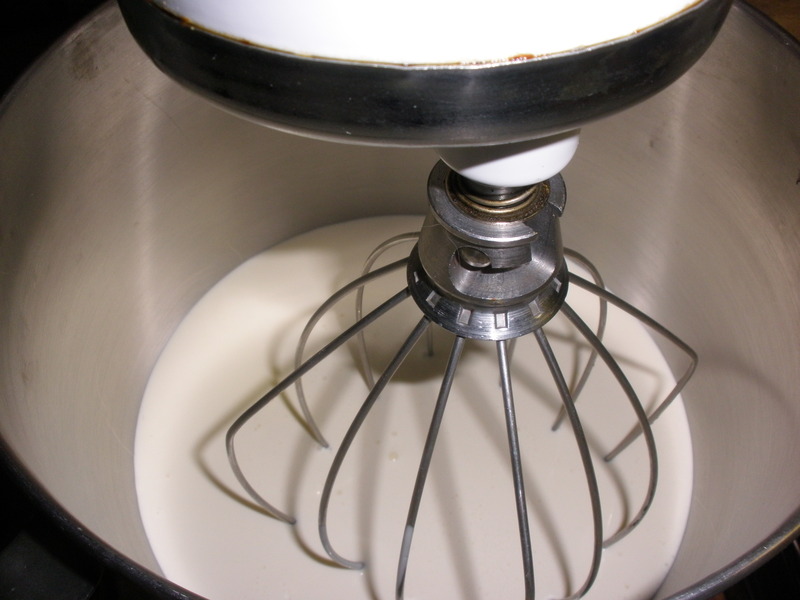 Next, pour the cream into the bowl of your mixer and turn it on a medium high-ish setting. Make sure the cream is very cold. You will have a harder time getting warm cream to turn into butter. 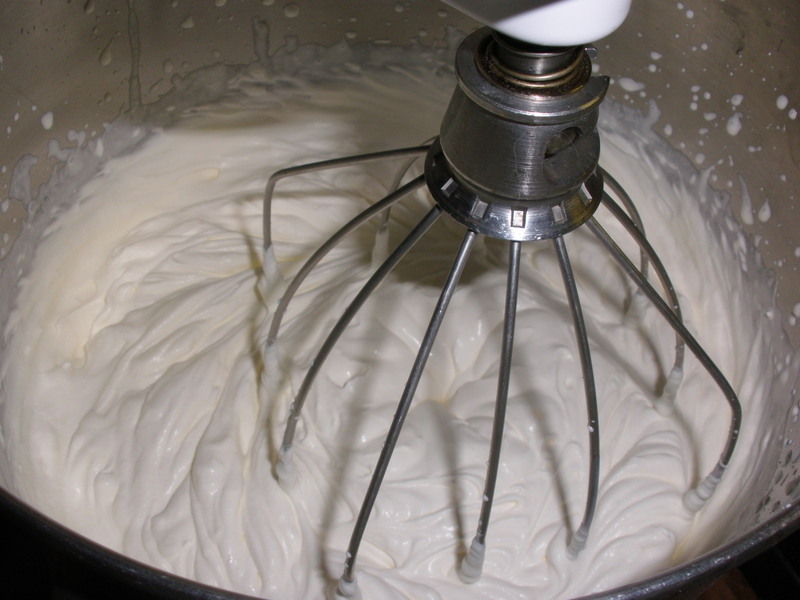 After a minute or two, the cream will start to whip and peaks will form, just like it would if you were making whipped cream. Let the mixer keep running. It will start to shake as the butter forms and starts to thump around in the bowl. This is when the splattering starts! As the butter forms, it will cling to the whip and separate from the buttermilk. I actually had to drain some of the buttermilk off so that I could finish whipping the butter. Once the butter has formed, it needs to be washed in cool water. 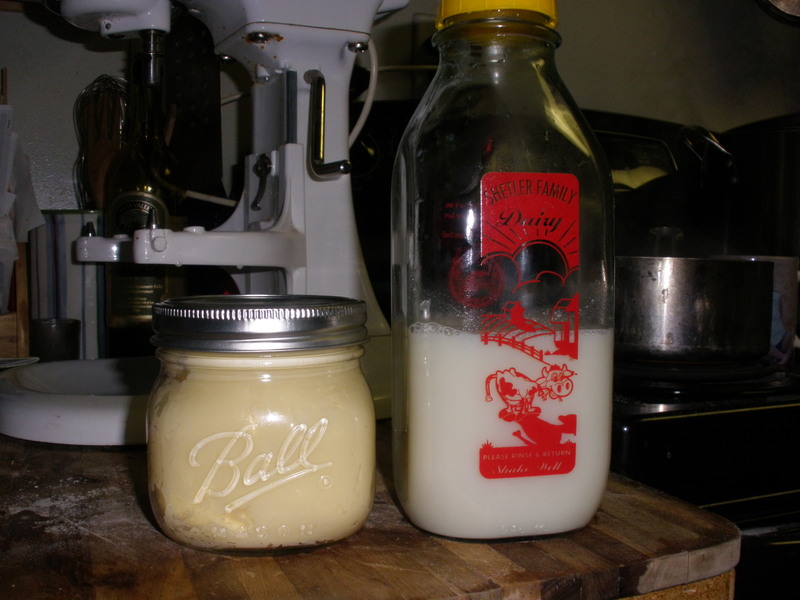 This rinses the buttermilk out of the butter and helps prevent the butter from spoiling. I rinsed mine by draining off all the buttermilk, adding cool water to the bowl and mixing it. I drained the water and added fresh a couple times until the water was clear. When I was finished, I packed the butter into this cute little canning jar because I didn’t have a fancy butter dish; I’ll have to watch for one of those. I love doing this for company or when visiting somewhere. People are amazed at how easy it can be and everyone loves the taste. I cant quite get my taste buds around the buttermilk yet and that’s probably because I grew up on the store bought stuff. Great read! Give it a try everyone!